Experience the international diversity of Los Angeles at the Grand Central Market. Offering more than 50 food stalls of fresh fruits, vegetables, meats, poultry and fresh fish from California and around the world, the Grand Central Market has been a hub of bustling activity since 1917. A place where thousands of people from all walks of life come to meet with old and new friends, shop for the best bargains in town or just to have a cone of ice cream on a sunny California afternoon. 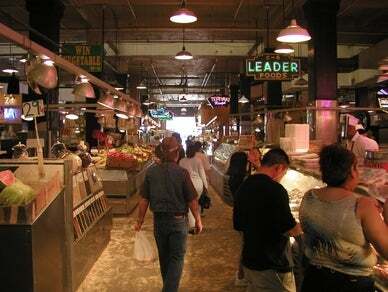 Find out more about the Grand Central Market here, then stop by and experience it for yourself!